CMCP512 Explosion Proof Loop Powered Display Reliability Direct, Inc. Your Direct Source for Reliability, Maintenance, Test & Measurement! The CMCP512 Explosion Proof Loop Powered Display is designed for applications where a simple inexpensive display is required. The CMCP512 gets its power from the 4-20mA input loop so there is no need for additional wiring or batteries. The CMCP512 is housed in a rugged NEMA 4X Explosion Proof Enclosure and can be mounted virtually anywhere. 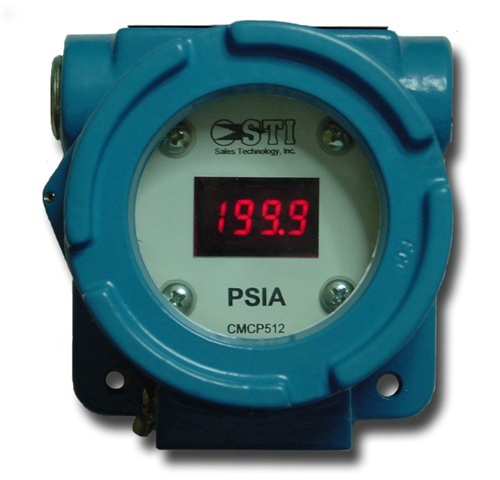 In addition to the key features listed above, the CMCP512 offers users a adjustable display, it has a switch selectable range and decimal point. Operating Temperature: -20 C.to +80 C.